In many ways, this aphorism captures the entrepreneurial tenor of today’s emerging world of blockchain technology, as startup companies seek to address critical issues facing the distributed ledger space. Many would agree that today’s financial systems are fraught with centralization, complexity and barriers to access. While established businesses and individuals in this market can manage the paperwork and bureaucracy, many still find these barriers to participation too challenging to overcome. As a result, potential trades and deals are lost, as these financial participants, trying to get limited access to the system, turn to intermediaries. These participants are, therefore, unable to issue assets or even to trade in some asset classes. Zen Protocol, a smart contract company headquartered in Tel Aviv, is on a quest to change this trajectory, by making secure, peer-to-peer finance possible on a customized, public blockchain, removing the need for intermediaries such as banks and brokers. 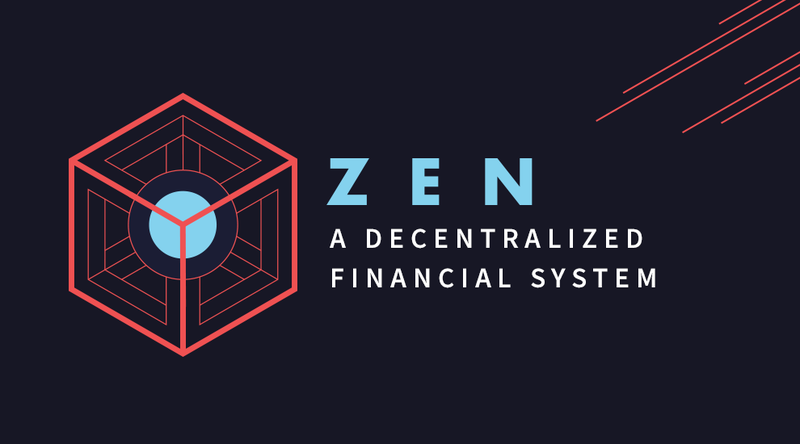 Zen’s approach allows anyone, anytime, anywhere to create and trade financial products on a secure platform — a Proof-of-Work blockchain protocol. It’s here where an open marketplace for options, futures, digital currencies and a myriad of other financial instruments are offered to consumers who would otherwise be left without the ability to participate. Zen Protocol, in many respects, can be viewed as an alternative to Ethereum, Bitcoin’s main market competitor. Zen’s main value proposition is the creation of a blockchain that mitigates some of the pesky issues that have adversely impacted Ethereum, while simultaneously running parallel to the Bitcoin blockchain. By way of example, one problem users on the Ethereum blockchain face is running out of “gas.” This means that transactions on its network often fizzle out, requiring that whatever currency paid to a user be returned to them. In other words, because there wasn’t enough energy to complete their transaction, it was canceled. Unfortunately, the fee for running this transaction still has to be paid. Zen addresses this issue through proven resource bounds: a protocol for attaching to each contract a proof of how long it takes to run. This completely removes the need to monitor gas. Key here is that smart contracts won’t allow a transaction to be sent without knowing how much computation it uses. This one feature alone makes Zen a noteworthy alternative to Ethereum and other smart contract platforms. With Zen miners now able to check how much computation transactions take to verify, they no longer have to run them in a virtual machine. Unlike competing platforms, Zen simply compiles its smart contracts to machine code, enabling them to run at native speed and greatly increasing transaction throughput. Zen has implemented a system called “Multi Hash Mining” which distributes mining rewards to several hashing algorithms while giving users — that is, holders of the Zen native token — the power to vote on which hashing algorithms will receive the rewards. The company believes that this approach will result in a fairer and more equal engagement between miners and token holders, with all participants incentivized to cooperate. It should also be noted that, rather than being limited to the native Zen token, any asset in Zen can be used to pay transaction fees, including those created by contracts. This reduces complexity for consumers seeking to move around and pay fees in fiat currency. With Zen, all new assets can be utilized by any existing or future contract. The core team at Zen protocol started working together in 2014 in the blockchain space and, after years of research, began development of the Zen Protocol in June 2016. “Our driving motivation in creating Zen is the belief that people have a right to own their financial assets, and we feel a responsibility to provide people with the necessary tools to empower themselves,” said CEO Adam Perlow. Perlow noted that rather than be exposed to counterparty risk, most individuals use financial institutions as trusted intermediaries. He says that these financial institutions facilitate the majority of economic transactions. The model employed by Zen Protocol overcomes the ability of financial institutions to limit people’s freedom to transact, providing an alternative way of accessing financial products and controlling risk. Perlow believes that Zen Protocol’s approach follows from some simple premises.